The 442 class was built by A.E. Goodwin Ltd. The first unit was in service on March 29th, 1971. There were 40 units in the class, numbered 44201-44240. They have a V12 turbo-supercharged 4 stroke Alco 12.251C engine. They weigh 115 tonnes and have 2000 HP available for traction. 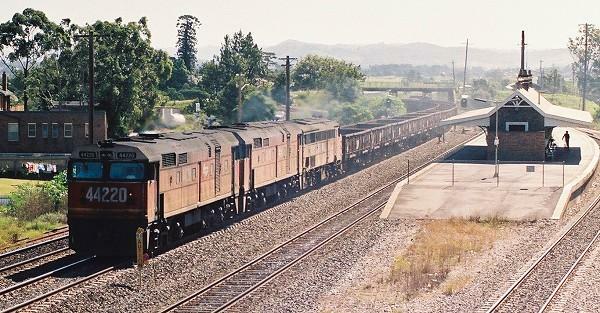 44231 leads another 442 on an up freight at East Maitland on April 28th, 1990. 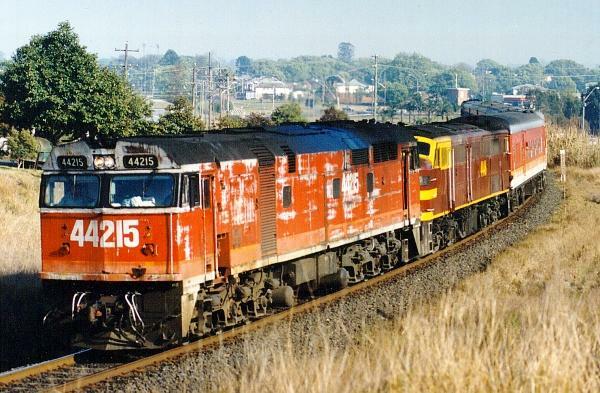 44220 leads another 442 and a 44 on an up freight at East Maitland on April 28th, 1990. 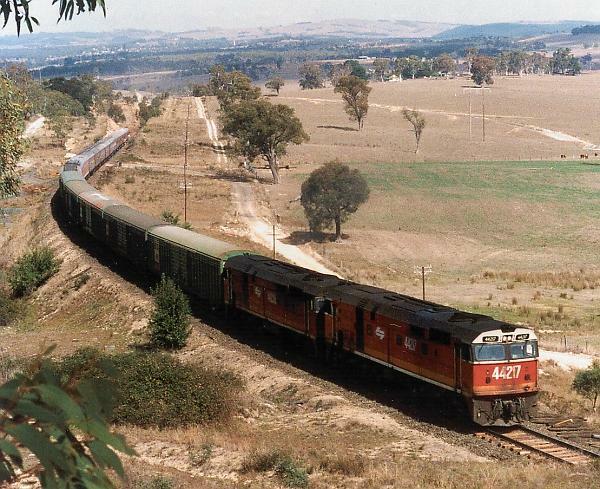 44217 & 44236 pull WE39, a bike train charter up the grade between Cullen Bullen and Baal Bone Junction on April 20th, 1991. 44217 & 44236 pull WE39, a bike train charter into Ben Bullen on April 20th, 1991. 44211, 4803 & 4916 accelerate at an RTM photo stop near Waverton. 44211, 4803 & 4916 round the sharp curves at Wollstonecraft on an RTM tour. 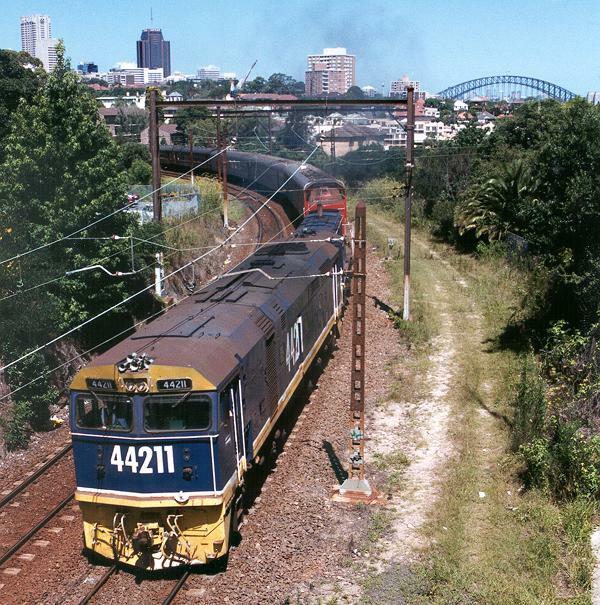 44222 & 42205 stand at Rozelle on a trip goods with the City of Sydney in the Background. April, 1997. 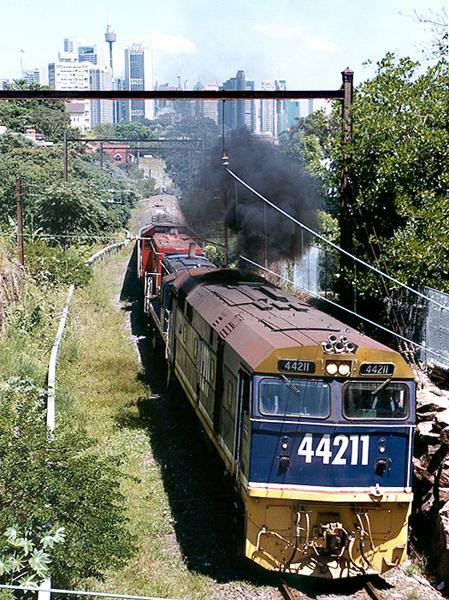 44215 leads dead 4446 up the Grade after the South Grafton Viaduct on NL36. 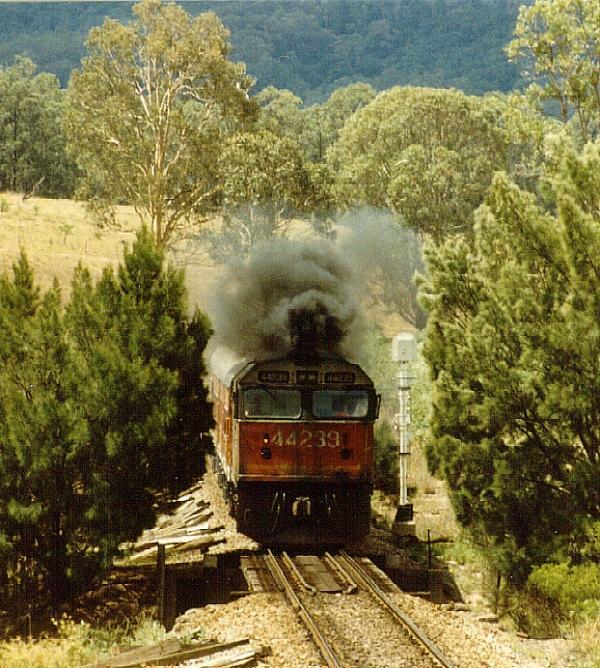 4446 had hauled the train alone only an hour earlier, but failed 5 kms out of town with Ground Relays. 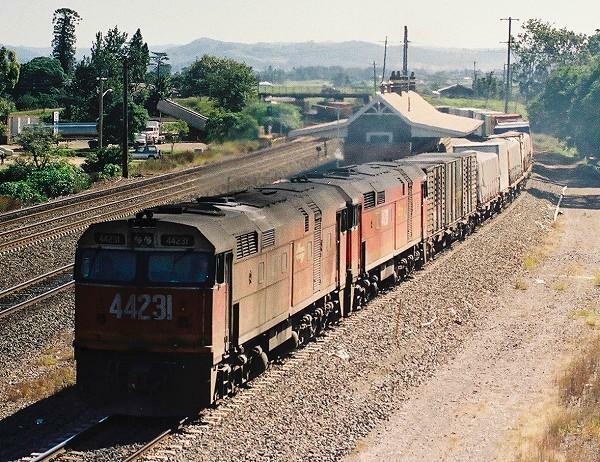 44215 was dispatched from Grafton Yard to go and haul the train back to Grafton City Station, where it ran around and hauled the whole train back to Sydney. September 28th, 1993. 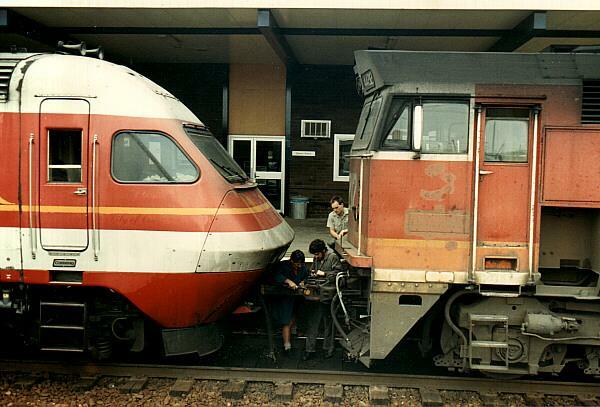 44212 uncouples from NT-4 at Broadmeadow. A fitter joined NT-4 at Maitland and managed to get both XPs running again. January 15th, 1991.